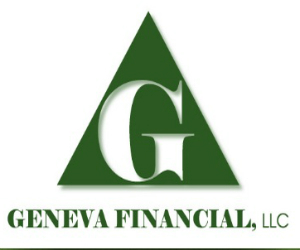 Geneva Financial, LLC is now hiring branch managers and loan originators in all states we’re currently licensed in. We are also looking for individuals with passion and integrity that are looking for a ground-floor opportunity to help us expand into new markets. Geneva Financial is a multi-state licensed mortgage banker and is one of the only bankers in the industry that promotes mortgage banking, and mortgage brokering. We understand that offering and promoting all lending opportunities allows the loan originator to always deliver the very best product and price to the consumer. Loan originators are not penalized when brokering loans, and they are not given incentives to bank. With 65+ lending partners and growing, and in-house underwriting turn times in less than 24 hours, if the product is available, Geneva Financial offers it at a lower cost to the customer, and higher pay to the originator. We offer the industry's most competitive compliant compensation plan to the loan originators. Not a fan of the corporate culture? We do everything we can to help you become more successful with your business. We provide the platform, the compliance, and all the products and pricing necessary to be competitive and successful. We let you run your origination business how you want to run it. Geneva Financial is currently licensed in Arizona, California, Colorado, Florida, Idaho, Montana, New Mexico, Nevada, Oregon, Utah, Texas and Washington. Licenses are pending in Georgia, Illinois, Indiana, North Carolina, Nebraska and South Dakota. For more information, visit .